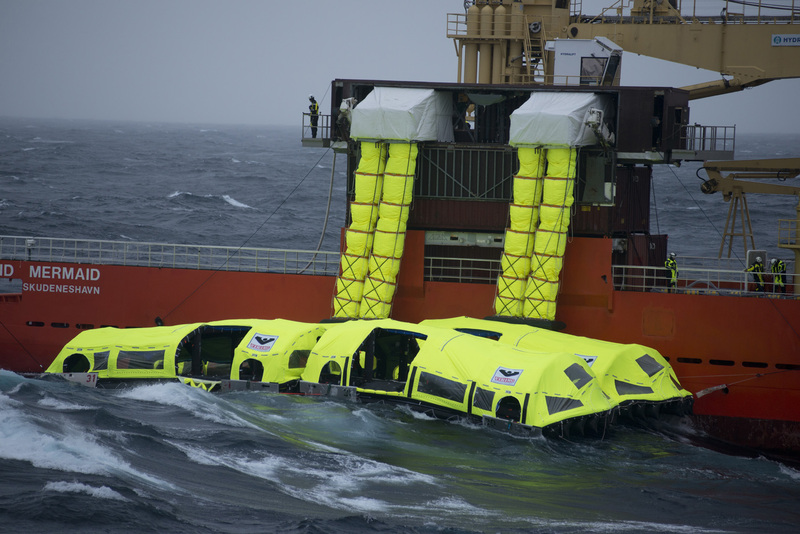 19 November 2018 – Rough seas with wave heights up to 50% above the stipulated heavy weather testing requirements proved no obstacle for VIKING’s innovative LifeCraft™ system, paving the way for cruise ship operators worldwide to benefit from all the advantages that this new hybrid – intended to replace lifeboats/liferafts – has to offer. Raising the bar for safety: The VIKING LifeCraft™ system’s development journey began in 2009. Over the best part of a decade more than 50 prototypes were created and put through their paces undergoing a battery of tests, which, among other punishments, employed jet engines to assess how well they stood up to 150 km/h winds. From a ship design perspective, the system is a significant space-saver, taking up around 25% of the necessary deck space compared to the equivalent capacity in lifeboats. This compact footprint is in itself a compelling argument for cruise ships as it frees up space for additional berths or passenger amenities. Furthermore, by enabling the positioning of evacuation capacity on both sides of a ship, something which simply isn’t possible with conventional lifeboats, the system surpasses SOLAS requirements and allows greater overall flexibility in vessel design. What’s next? : With heavy weather sea trials now complete, all that remains are a few tests of the system’s container, along with documentation and final approval by the Danish Maritime Authority (DMA). Soon, therefore, the VIKING LifeCraft™ system will be ready to be incorporated into new and existing vessels to provide an entirely new level of passenger safety. The VIKING product range includes chute and slide-based marine and offshore evacuation systems, liferafts, lifejackets, immersion suits, fire suits, work suits, aviation safety gear, rescue boats, hooks, davits, firefighting equipment, pyrotechnics and other lifesaving appliances. 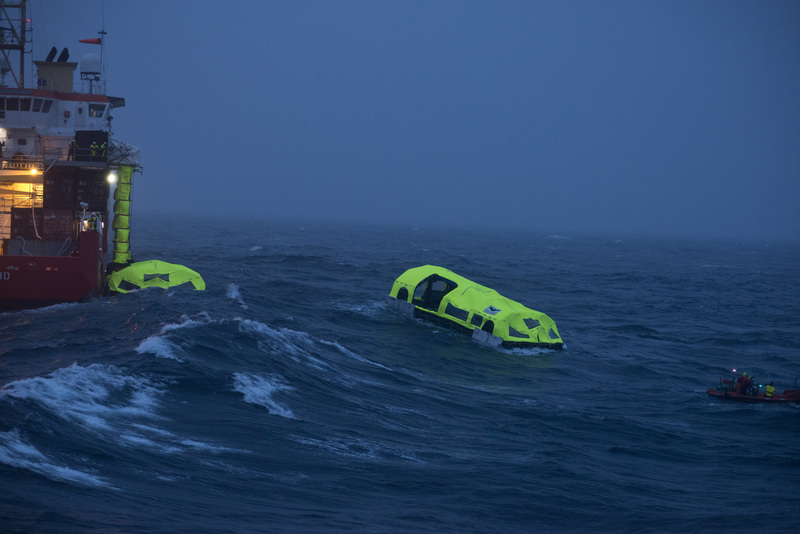 In 2018, VIKING acquired Norsafe, the Norwegian boatbuilder whose lifeboats are used throughout the world, ensuring a unique and unmatched product and service offering in the global maritime safety industry. VIKING Shipowner and Offshore Safety Agreements are uniquely customizable concepts incorporating safety products, global servicing, exchange, single-source management, and financing in a variety of fixed price structures. With 2,800 dedicated employees and a network comprising 80 branches, 280 certified servicing stations, multiple agents and stock points worldwide, VIKING is a truly global provider of safety solutions in all significant markets and locations.